Held At the La Quinta Civic Center Park – enjoy three days under the sun with some of the bests artists in the Country. This high quality event is a premier attraction and proudly hosted by the city of La Quinta Tickets start at $17 and multi day passes are just a few dollars more. La Quinta, often called the gem of the Desert, is a stunning Desert paradise of beautiful homes, golf courses, resorts and outdoor spaces all framed by a majestic mountain backdrop. Great video with everything from Architecture to fashion and automobiles. Some great night shots of the iconic buildings in Palm Springs. 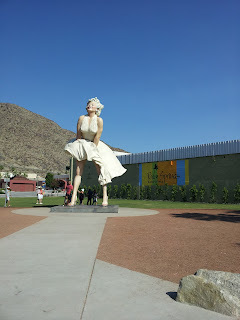 Watching this video you realize what an outoor museum Palm Springs really is. Find your own Modern Palm Springs Home here. The mission of Modernism Week is to celebrate and foster appreciation of mid century architecture and design, as well as contemporary thinking in these fields, by encouraging education, preservation and sustainable modern living as represented in Palm Springs.Modernism Week is a California 501 (c) (3) non-profit organization. Click on the Poster above to be taken to the complete lineup information page for the event. Spread over two weekends in April one of the top music festivals in the world brings artists from so many genres to the Coachella Valley/Palm Springs area for two weekends in April . A hybrid music festival/Art festival the event is also a big contributor to local charities. 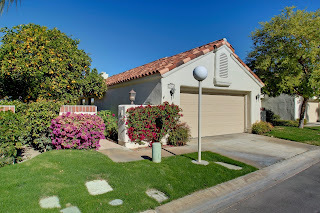 Imagine owning your own great home in INDIO CA just a mile and a half from the fairgrounds! See it here Enjoying this great event would be so much easier with your own private four bedroom pool home! The rental potential would be outstanding. Coachella Fest is just one of the many great events held each year in Indio. Up and coming is the Stagecoach Music festival and every February you have the Riverside County Fair and Date Festival and there is also a Tamale Festival every December. There is always something to do in Indio! You will see innovative works in differing styles of contemporary, traditional, modern, and southwest art. Hundreds of talented artists will present their unique works in different media such as acrylic, oils, etchings, mixed media, oils, watercolors, digital and even traditional photography. Artists and attendees from all over the world converge at this renowned festival of the arts now features more than 250 artists. 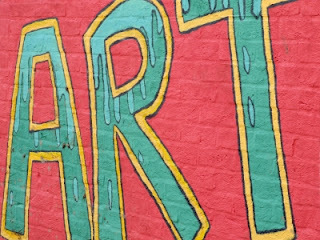 This festival has grown from its humble roots as a small art affaire in 1986 to become one of the largest – and most acclaimed – art festivals in the country. You will see traditional, contemporary and abstract works of art plus handmade crafts. This event can be seen at the Empire Polo Club in Indio, California. La Quinta Arts Festival. For a vibrant art experience the nationally renowned La Quinta Arts Festival can’t be beat. Showcasing the area’s most dazzling artists, La Quinta Arts Festival is a 4-day celebration of creative talent and innovation in mediums including sculpture, photography, painting, ceramics, jewelry and much more. 2014 marks the 29th year of this Festival and you can enjoy it on March 6-9th at the La Quinta Civic Center Campus and with a great selection of over 100 artists. Enjoy their work while street performers, public art displays and the surrounding Coral make it a truly memorable day. Over 80 artists participate at each Art Under the Umbrellas event, located along the closed-off streets of Old town La Quinta. This pretty outdoor venue is reminiscent of Colonial Mexico. Make it a great day outdoors by perusing artist wares, exploring shops, and restaurants. After all that walking at the art fairs you can put your feet up and discover inspiring and thought provoking cinema at the 2014 Palm Desert Public Art Documentary Film Series. Beginning in January 2014, the public is invited to a fifth season of free screenings of public art-themed documentaries presented by the City’s Public Art Department and the University of California, Riverside Palm Desert Graduate Center. Each screening will include a featured speaker who will discuss that night’s film. All films screen the third Thursday of the month, January through April, at 6 p.m. in the auditorium at UCR Palm Desert, 75080 Frank Sinatra Drive. Admission is free, but reservations are recommended. For more information, or to make a reservation, please call 760-837-1663. PALM SPRINGS Not to be left out of the Art scene the Palm Springs offerings include a new Art District info at: http://www.backstreetartdistrict.com/ And an Art Walk the first Wednesday of every month year round. So don’t miss out on the great Art events held Valley wide throughout the year. Just one more reason to visit Palm Springs! The BNP Paribas Open Tennis Tournament returns to beautiful Indian Wells March 3-16 2014. This year the venue Indian Wells Tennis Gardens is dramatically enlarged after having undergone an beautiful expansion since last year. website also showed multiple day ticket packages available. The Tournament player list reads like a whose who in the world of professional tennis – Victoria Azarenka, Roger Federer, Maria Sharapova, Rafael Nadal, Andy Murray and over 100 more. The event always draws Celebrities to the valley as well to enjoy this event and our great Desert Weather! The Indian Wells Masters is the first Masters event on the ATP calendar and you can watch all the action live for free online . Located at 78-200 Miles Avenue the Indian Wells Tennis Garden is a first class facility with great amenities. With new Dining venues and 16,100 seats in the main stadium plus over 7,000 parking spaces. Palm Springs Modernism Week: ( or week+ since it is 10 days long!) It all happens February 13-23, 2014 when the world comes to admire what we here locally take for granted everyday. This amazing event continues to grow and expand in all directions. Last year the event brought in vintage travel trailers and expanded beyond Palm Springs into the Palm Desert neighborhoods with fifties architecture. The 14th annual Palm Springs Modernism Show and Sale will be held at the Convention Center, located On Amado and Avendia Caballeros, with over 80 exhibitors showing their treasures and hoping to make them YOURS! The show -which could possibly be credited with starting the whole modernism week (but I am not an expert on the founding of the event!) is just the tip of the iceberg. The website for the event lists no less than 32 pages of events! From lectures, to films, to house tours, bus tours and exhibits. Everyone is getting in on the excitement with exhibits at the Palm Springs library to lectures in hotel ballrooms. Fitting it all in will be your biggest challenge. Perhaps the best part of Modernism week is it takes place in the sunshine of Palm Springs. This will no doubt please the some 40,000 expected visitors, from all parts of the world, who may not see temps like these until Summertime. BNP Paribas Tennis Tournament the grounds of the tennis stadium are slated for a major expansion with a second stadium with 8,000 seats, more parking a brand new entrance and new shaded area for outside events and practice. Very exciting for the City of Indian Wells and the fast growing Tournament held right here in the Coachella Valley. Every March some 400,000 tennis stars and fans fill the valley to watch this world class event. Be a part of the Action and visit Indian Wells soon. See all homes for sale in Indian Wells. This weekend August 17 and 18, the nearby mountain community of Idyllwild will celebrate the 20th anniversary of this unique event. Undoubtedly the celebrations will include some relief that the recent fires in the area spared the quaint little town in the pines. The annual event raises funds for the Idyllwild art academy and students from the academy play a part in the event. See the great story about the founding of this event. The event provides Palm Springs residents the opportunity to take a break from the heat and enjoy some cool Jazz under the pines. The event also includes specialty foods and a 60 vendor arts and crafts market place. Just an hour from Palm Springs or Palm Desert this is a great getaway close to home. At this time tickets are only available at the pharmacy in town or at the door if still available. This years performers include Paul Carman Quartet, Ray Goren Band, Diane Schuur, Tim Weisberg and Friends, Casey Abrahms, Billy Valentine and the Euphoria Brass Band plus many others. Check the festival website by clicking the logo above. Enjoy a taste of some of the very best food in the valley during this two week long celebration of the Culinary Arts. Restaurants will offer a set menu 3 course dinner for either $26 or $38 dollars. Now is your chance to try out some of the places you always see but have not had a chance to try. Perhaps you were unsure about them. This program offers you a great opportunity to expand your dining horizons and have some fun while you are at it!